winner at this year’s event. tremendous learning and development gong. But they will have to move fast as the deadline for submissions is midnight on Sunday. year shown a strong commitment to designing and delivering “cohesive and innovative” learning and development programmes and initiatives for their organisations. Nominees must be able to demonstrate a “visibleand measurable relationship” between the business’s training and development, and overall performance. Judges are particularly keen to see a direct link to performance management processes. 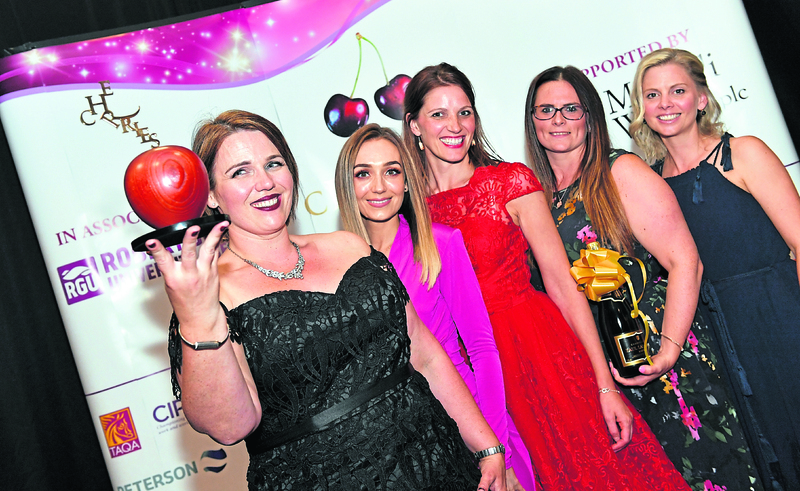 The annual Press and Journal cHeRries Awards – sponsored by Robert Gordon University and wealth management and employee benefit services company Mattioli Woods – recognise excellence in the fields of HR, training and recruitment. There are 11 gongs up for grabs in the free-to-enter 2019 edition, including the highly-prized “top cherry”. They also include a new community award, named after former cHeRries judge Mike Reid, who died last May after battling cancer. It all reaches a climax at Aberdeen Exhibition and Conference Centre on Thursday May 30.
development accolade for The Old Course Hotel. The cHeRries Awards have been held every year since 2008.